Group of fresh water fish examined. 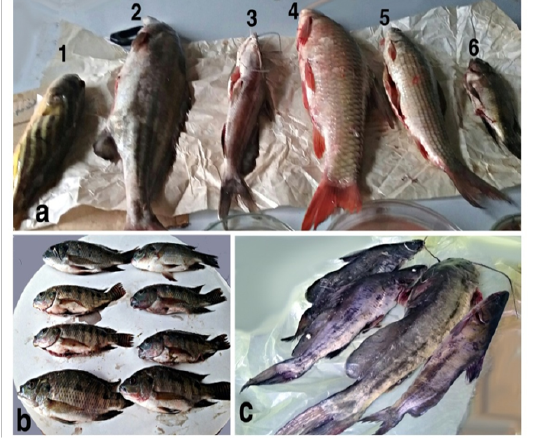 a: 1-Nile puffer; 2- Bottle nose; 3&c -bagrus bajad; 4-Barbus bynni; 5- Labeo niloticus; 6&b- Oreochromis niloticus. 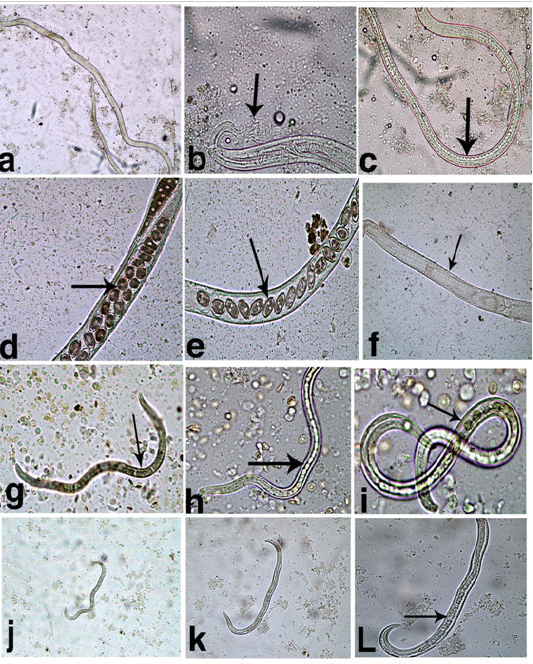 Different capillaria spp. stages recovered from fish. a- Adult male; b- Adult male Ant.end showing esophagus with stichocytes; c- Adult male Post.end; d&e- Adult female showing uterus containing peanut eggs; f- Female Ant. end showing esophagus with stichocytes; g- Large sized larva x10; h- Large sized larva x20; I- Large sized larva x40; j- Small sized larva x10; k- Small sized larva x20; l- Small sized larva x40; Arrows pointed to stichocytes.